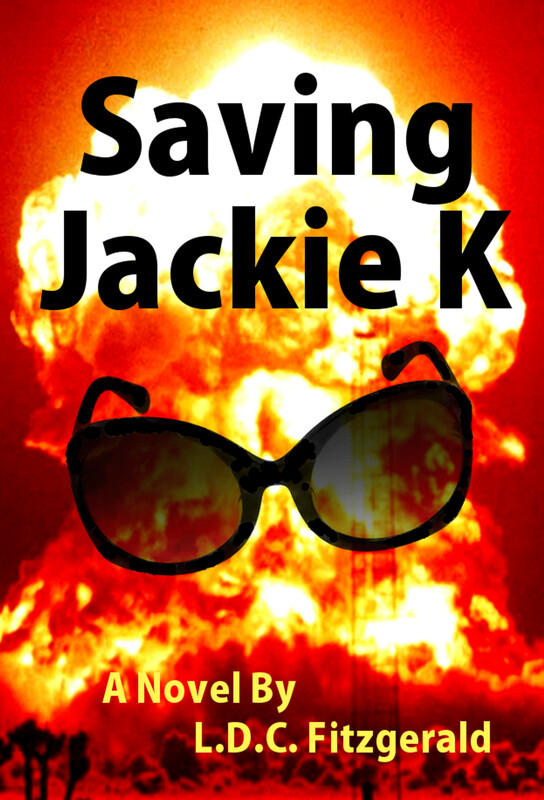 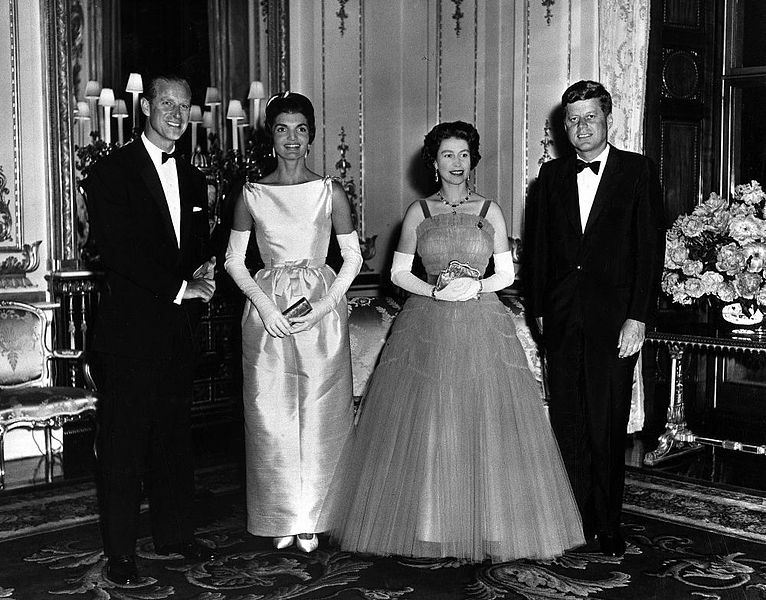 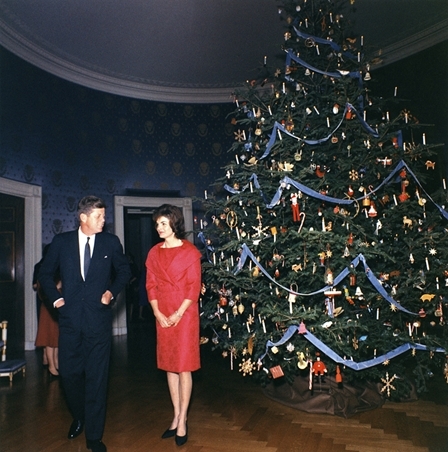 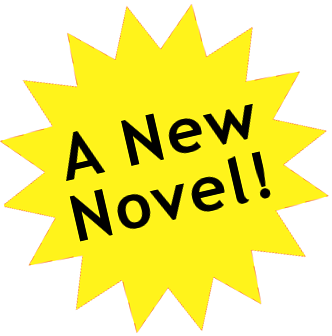 Saving Jackie K is an action-adventure novel that springs from a dark premise - what if the political assassins killed Jacqueline Kennedy instead of her husband? 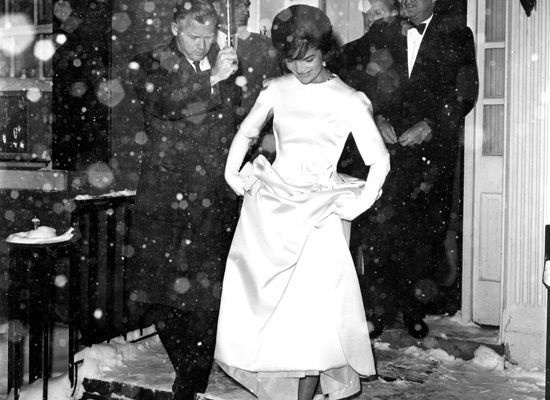 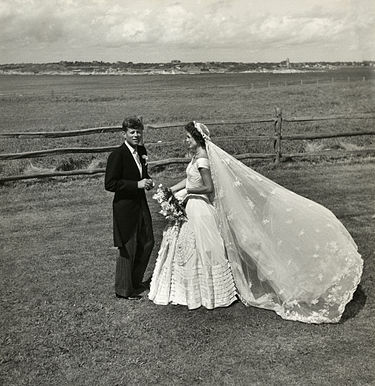 Ann Lowe designed Jackie's wedding dress - a dramatic portrait-neck gown with an exaggerated hourglass shape, and pleating details fashioned into flowers and a tiered hemline. 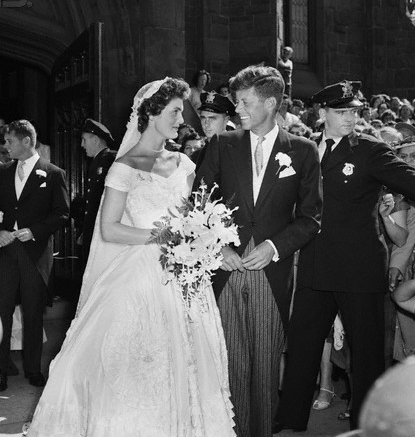 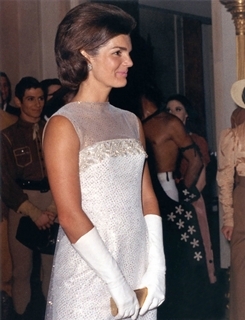 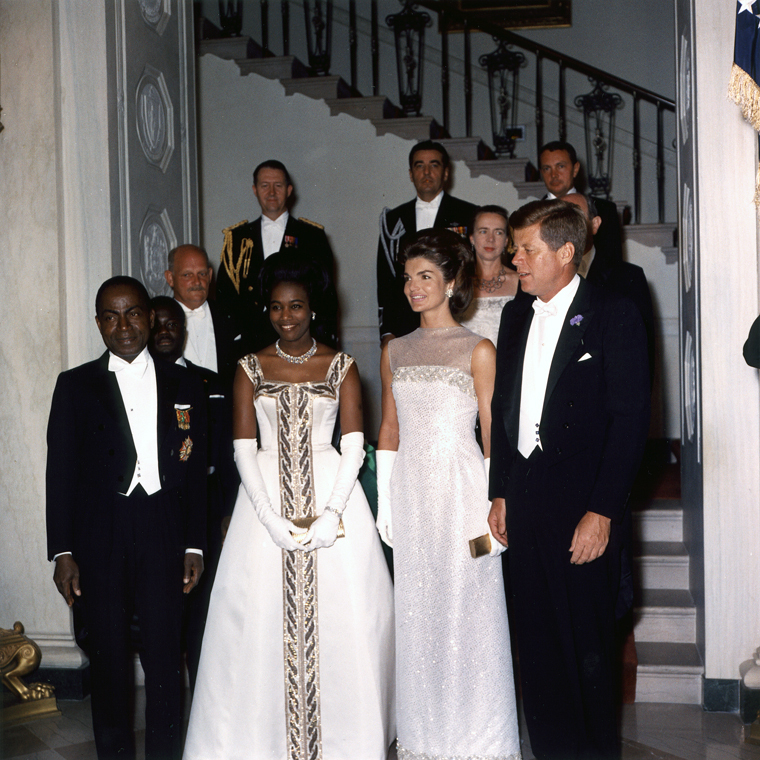 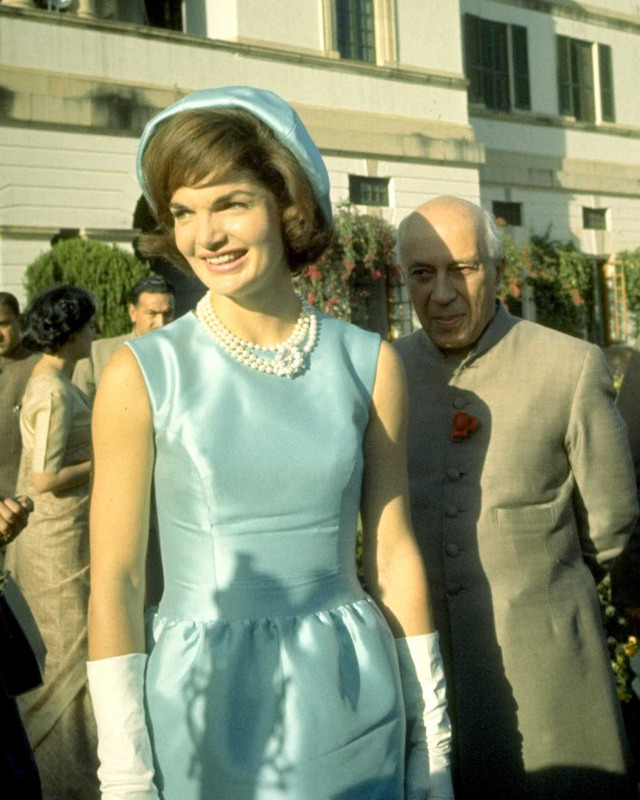 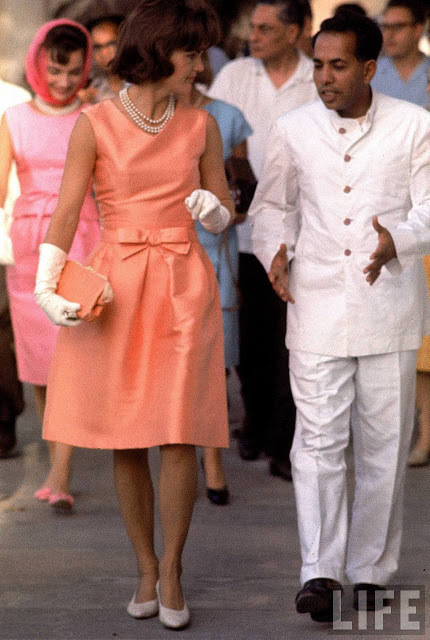 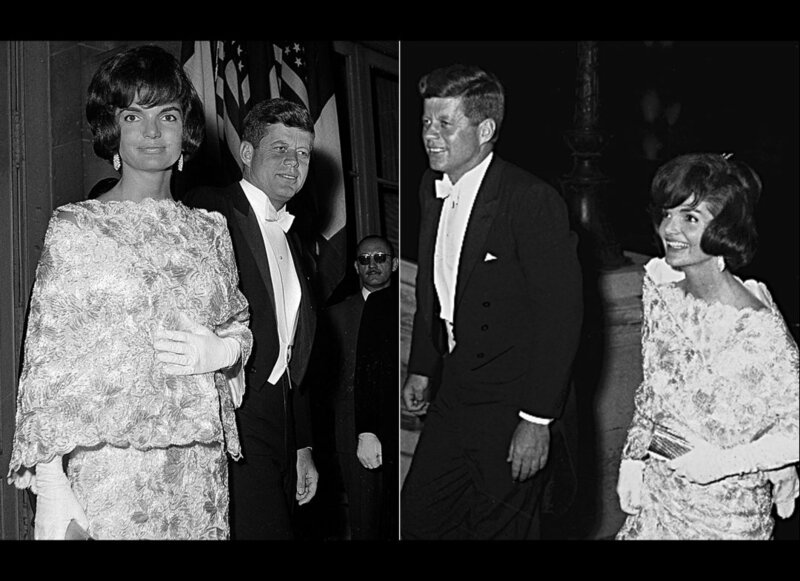 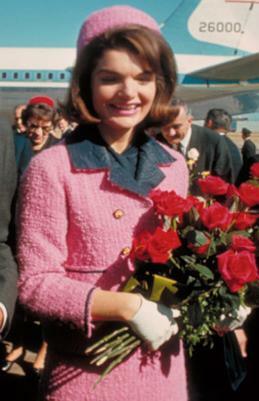 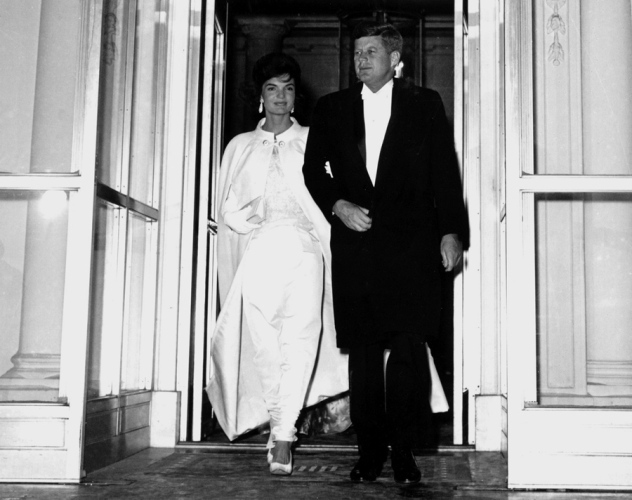 Jackie wore her grandmother's bridal veil at her wedding to Jack Kennedy. 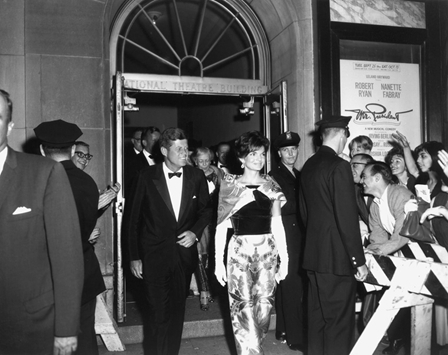 The President and First Lady attend the premiere of the play "Mr. President" at the National Theatre in DC.